On January 24th and January 31st, Heart to Heart with Anna featured Dr. Fred Wu talking to us about the consequences of a Fontan heart on the liver. If you haven’t had a chance to listen to the podcast, it’s not too late. Advancements in Understanding the Liver in Fontan Patients Part 1 and Advancements in Understanding the Liver in Fontan Patients Part 2 covered a number of different issues. The heart is a very complicated organ and when it is not perfect, it’s not surprising that other organs may be affected. Liver elastography describes a variety of techniques to measure the stiffness of the liver. This can be done using ultrasound technology or MRI technology. With ultrasound, sound waves are applied over the liver, and a computer determines how quickly those sound waves move through the liver tissue. The stiffer the liver, the more quickly the sound waves will propagate. With MRI, sound waves are also applied over the liver. The MRI scanner then takes a series of images that visualize the sound waves moving through the liver and calculates the liver stiffness that way. The thinking behind all of these techniques is that the more fibrosis there is, the stiffer the liver will be, and that has indeed proven to be true when these techniques have been studied in liver patients. The challenge in Fontan patients is that the venous pressures are chronically elevated, and this results in congestion of the liver. As it happens, congestion also leads to increased liver stiffness. Thus, there are studies that have described the results of transient elastography and shear wave elastography–two techniques using ultrasound–and MR elastography in Fontan patients, and all of them show that most Fontan patients have abnormally stiff livers. Unfortunately, it is difficult, if not impossible, to know how much of that stiffness is the result of congestion and how much is the result of fibrosis. It is a reasonable assumption that the very, very stiff livers are much more likely to have severe disease and that the livers with normal stiffness are probably only mildly affected, but most of the patients will fall into the gray area in between. The good news is that MR elastography is usually performed as part of a comprehensive MRI study of the liver, so you still get all of the information you would get from a standard MRI with the addition of the elastography data. Do you have a question? Feel free to write to Anna here at her blog if you have a question or visit our chat room on Paltalk. Just look for the HUG Podcast Chatroom. We’re there Tuesday-Thursday from 11:00-noon Central Time (USA). What is the number one cardiac arrhythmia? 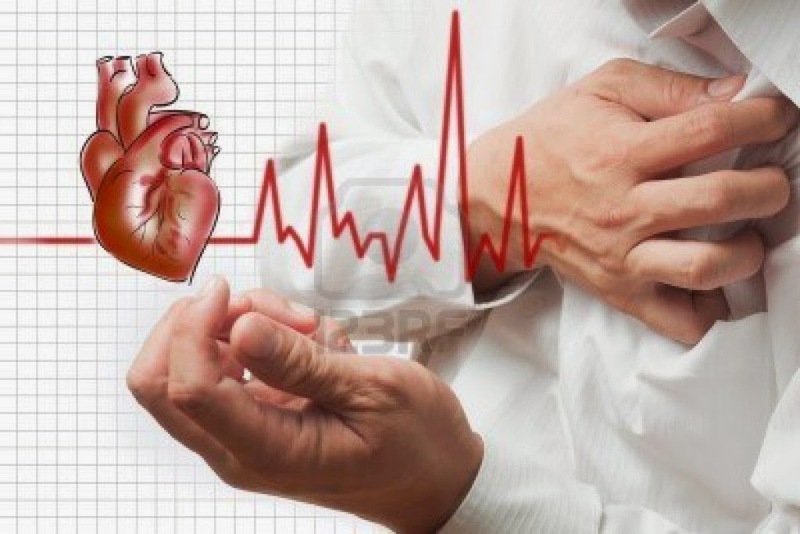 What heart condition affects over 3 million people in Europe alone? What is the fastest growing technique in cardiology? The answer may surprise you. It isn’t about cloning, stem cells or any of the in utero procedures you might think it would be. The condition isn’t something that people talk about, yet 5% of the population over 75 suffer from it. That’s 5% of all adults. The percentage of adults with congenital heart defects (CHDs) who suffer from this condition is 15% — three times that of the population at large. Why is this important and why should people in the heart world care about this situation? 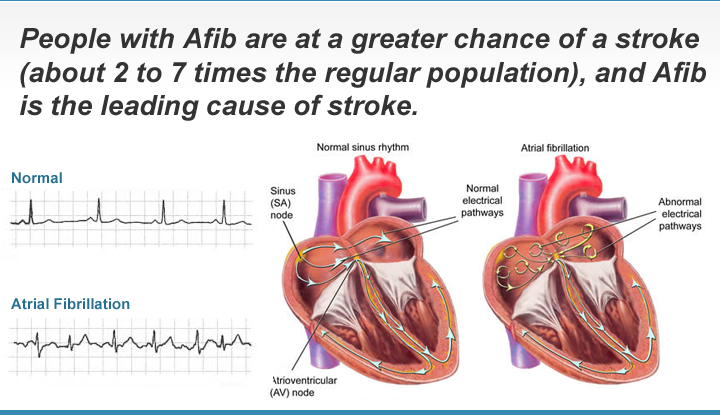 The reason is that people with undiagnosed Afib are at a much greater risk for stroke and heart failure than those who know they have Afib and are under a doctor’s care for treatment of Afib. This is especially important for the aging congenital heart defect population. To read more, go to Baby Hearts Press Blog.